Here is a list of films I have seen in the Spanish Language that are worth viewing. I will not give opinionated reviews, rather just list films that have a significant viewing value. These are films to practice your Spanish language ability (with and without English-language subtitles). In the wake of his wife's death, Ignacio leaves his small Colombian town and journeys to the country's remote northern region, resolving to return his devil-cursed accordion to the teacher who once gave it to him. 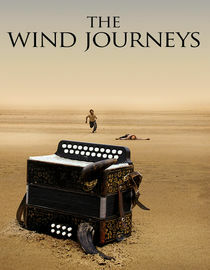 His traveling companion is teenager Ferm�n, who aspires to emulate Ignacio's past life as an accordion-playing troubadour who roamed the countryside. 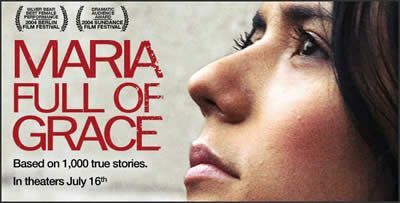 Marciano Mart�nez and Yull N��ez star in filmmaker Ciro Guerra's enthralling odyssey. Sharing the stage with Panamanian rapper Danny Boy, Dominican superstar Eddy Herrera cuts loose in this landmark concert of live songs that blends the infectious sounds of reggaeton and merengue. Featured tracks off the "Amor de Locos" album include "P�game Tu Vicio," "Como Te Olvido," "Estoy Dolido" and "Demasiada Rom�ntica," plus a bonus video for "No Le Cuentes." Set in the breathtaking background of the exotic Atlantic Coast of Colombia, a musically talented 11-year-old boy, Poncho, has two dreams: to get an accordion and conquer the heart of the girl of his dreams, Sara Maria. When Sara Maria challenges Poncho to become the greatest accordion player and write her a song that will move her soul, Poncho stops at nothing to make this a reality. Challenged by overwhelming financial hardship, we follow Poncho, as he becomes the legend known as the Angel of the Accordion. Ken thats a cool movie its kind of documentary about live in the border region beteewen MX and Guatemala, and the impact the Maras MS-13 has in that area..it's almost like VOCES INOCENTES, type of movie. 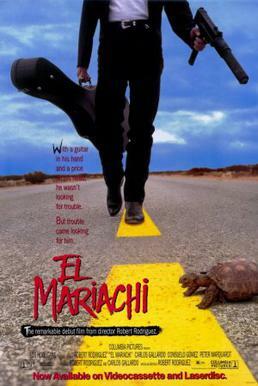 El Mariachi is a 1992 action film that is the debut of writer/director Robert Rodriguez. The Spanish language film was shot in the northern Mexican border town of Ciudad Acu�a with a mainly amateur cast. 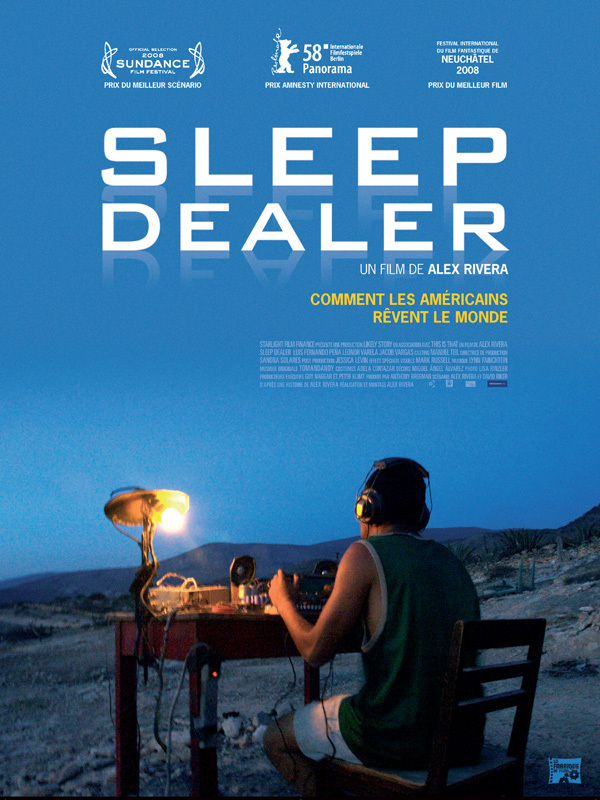 The US$ 7,000 production was originally intended for the Mexican home video market, but executives at Columbia Pictures liked the film so much that they bought the American distribution rights. Columbia eventually spent several times more than the 16 mm film's original budget on 35 mm transfers, promotion, marketing and distribution. The success of Rodriguez's directorial debut led him to create two further entries, Desperado (1995) and Once Upon a Time in Mexico (2003), in what came to be known as the Mariachi Trilogy. Mexican writer-director Pedro Ultreras draws upon his background as a journalist writing about immigration issues for his feature film debut, 7 SOLES (aka 7 SUNS). Based on real cases Ultreras encountered in his work, the unflinching drama aims to humanize the plight of illegal immigrants by chronicling the tragic journey of a trafficker (Gustavo Sanchez Parra, AMORES PERROS) smuggling a group of Mexicans across the U.S. border through the unforgiving landscape of the Sonoran Desert. Thanks for the 'El Mariachi,' I found its the perfect film to study Spanish with. They speak slow and clear; the director is a Mexican American. "Mauricio" or "Moco" is actually a Gringo who was reading all of his parts on index cards phonetically since he didn't even speak Spanish during the filming of this movie (hence, the heavy American accent). the Mariachi trilogy soundtracks are all excellent music too avail on CD. i hope to see Blu-ray transfers of all 3 films soon. The bonus of Quemar is Julietta Venegas sings the title track so that is always a great thing!! after reading the Harry Potter books (all of them) 3 times, seeing the movies (all of them) at least 3 times in English, I am now watching all of the movies in Spanish--no subtitles! Talk abt a fun way to get the ears a'listening. I know its crazy- I never read fiction- strictly nonfriction-but these books are incredible!! I also will be reading them in Spanish soon!! My other 4WD is a Baja Mule! La Mula Mil Survivor 2013-2014! 1000 miles by mule from the tip to Tecate! I never saw Amores Perros, but Y Tu Mama Tambien was incredible!